Last Christmas Our friend Missy gave each Nikki and I a box filled with organic skin care goodies. 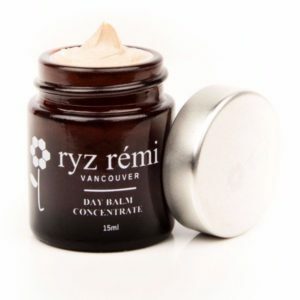 Amongst all was a tiny sample of Day Balm Concentrate by Ryz Rémi. The simplicity of the label design caught my eye right away. I opened the little jar and smelled it – wow what an unique and pleasant mix of coco and vanilla. I rubbed a little bit on the back of my wrist, the texture was creamy but not greasy and felt very light, not like any other balm I have tried! I was intrigued. Mostly because at that time I was dealing with a couple of skin issues, one of them being the case of adult acne. My face was breaking out, the worst areas were my chin and both sides of my forehead. For any of you who have ever experienced troubled skin, you know what a pain in the a** it can be! Until NOW! Ryz Rémi is all that and more. 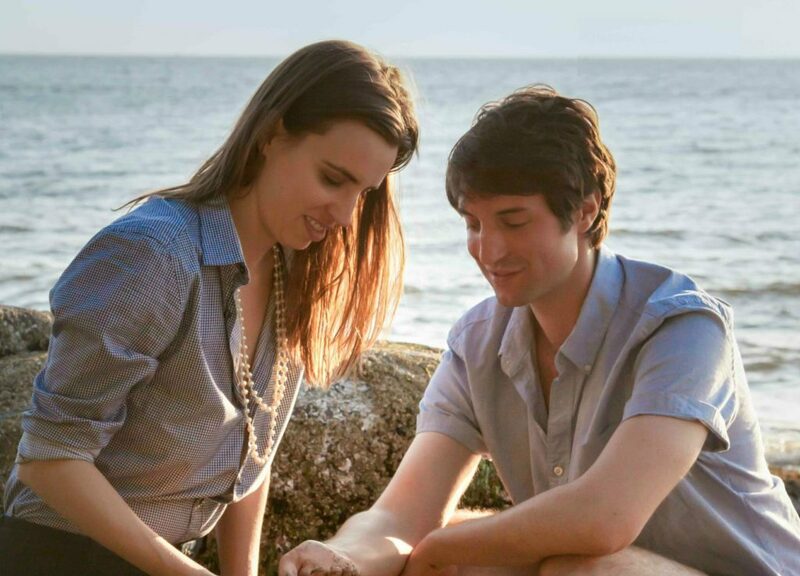 From their website I learned that Ryz Rémi is the creation of a wife and husband team, Dr. Natasha Ryz and David Rémillard. They create a small fine skincare in this beautiful city – Vancouver. I was inspired to reach out to them and ask Natasha some questions about the product, health and happiness. 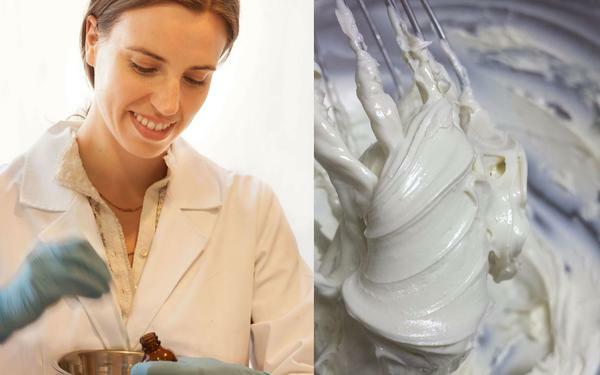 Zuzana: What inspired you to create your own skin­care line? Natasha: My inspiration came from my love of nature. I wanted to teach people about plants and show that whole, raw plant extracts can nourish, improve and protect skin. I strongly believe that what we put on your skin is just as important as what we eat. Like food, skin care products should be made using fresh, natural, nutrient-­rich ingredients. As a medical researcher, I know there are specific nutrients and dietary strategies for improving health. Essential fatty acids can control inflammation, prebiotic fibres found in cocoa and honey can encourage the growth of healthy bacteria, and phytochemicals in plants can improve the skin barrier. As a nutritionist, I design diets to heal and protect the gut and improve the skin. I also have a background in cooking and have a love of fine food. So, I applied my background knowledge into making the best skin care I could imagine. I also love the ritual of skincare­ it is a moment of the day when I always take time to connect with my body and take care of myself. I wanted to create effective skincare that was ethically produced, so I could feel good about using it. My desire was to make something I looked forward to using every day. Something I craved. Something that made me happy. Zuzana: What was your main goal with this line? Natasha: My main goal was to create highly effective skincare for sensitive/combo skin. I originally started developing my blends for myself. I have oily and acne prone in my T­-zone, and dry skin on my cheeks. I have allergies and get red itchy eyes and random welts on my face. I am also concerned about premature aging­ I want to minimize fine lines, reduce discoloration and protect my skin from sunlight. I don’t like wearing a lot of makeup everyday. I wanted something that provides light coverage and improved the appearance of my skin with minimal effort. This development process wasn’t easy and the formulas for this line took over five years to develop. I am always working to improve them. Our facial line is designed to nourish, repair, protect and enhance the appearance of skin. To achieve this, I use only high quality whole­ plant extracts and safe actives in our formulas. Every single ingredient has multiple benefits. I use organic & wild­ harvested plants, minimally processed (cold­ pressed, raw, unrefined) to retain active nutrients, including essential fatty acids, vitamins, terpenoids and polyphenols. These nutrients calm inflammation, heal the skin barrier and provide antioxidant defense. We also use non-­nano zinc oxide to protect the skin from sunlight, as we all know, too much UV radiation can cause sunburns and premature aging. Zuzana: Why do you think it’s so important to take good care of your skin? Natasha: Taking care of our skin is not just about looking good, it also keeps us healthy. Our skin is the primary barrier from the outside environment­ it protects us from injury, water loss, UV radiation and invasion from microbes and toxins. The skin barrier includes the outermost layers of skin; essentially what you see on the surface. When our skin barrier is healthy, it feels and appears smooth, soft, and plump. In contrast, damaged skin looks dry, rough, dull, and dehydrated. Just like the rest of our body, our skin requires nutrients, including essential fatty acids, vitamins, minerals, and antioxidants to keep our skin barrier strong and protect us against daily environmental stress and inflammation. These nutrients cannot be made by our body and have to come from outside sources, like through diet and skincare. Zuzana: What are the most important steps to take to achieve healthy, glowing skin? Natasha: I think the basic steps to healthy skin are the same steps for a healthy body and mind­ they include adequate sleep, exercise, healthy diet, stress relief and using nutrient­-rich skin care blends that protect from environmental damage. Safe sun protection is very important. I wear my Day Balm Concentrate everyday on my face. It contains 20% zinc oxide to protect from the sun & moisture loss. Look for formulas that use non­-nano zinc oxide to block UVA and UVB radiation. Wear sunglasses. Wear a hat. A scarf. Rock a parasol. I also try to get my sweat on every day. A 20-minute sauna or intense workout does wonders for my complexion. I eat a lot of healthy fats. Essential fatty acids are necessary for a healthy skin barrier and calming redness and inflammation. I avoid overly processed foods and sugary beverages. Lots of fresh fruits and vegetables. Herbs and spices. Eat real cocoa­ dark chocolate. Plants contain natural pigments that improve the look of your complexion and help reduce inflammation and protect against environmental damage. Stress management techniques are very important. I like listening to music, meditation, yoga, stretching, watching funny videos, talking with friends, etc. Activities that promote calm and relaxation. Chronic frowning & stress­ related body tension causes our bodies to produce more skin­ damaging stress hormones. Zuzana: Are your skincare blends suitable for men? Natasha: Yes! My husband uses our blends everyday. Men with sensitive skin especially like our formulas because they calm redness and irritation. Men also like the subtle coverage our D ay Balm Concentrate provides and the sun protection from 20% zinc oxide. Our Calming Honey Mask is very calming­ especially after shaving. The Nutrient-­Rich Elixir is great any time of day and just about anyone will find it useful. It’s especially good for easing subtle lines. Zuzana: Any plans on expanding your brand? New products? Natasha: There will be 12 facial products in our complete line. I am also experimenting with some exciting oil-­based perfumes and hair products. Zuzana: What’s your biggest beauty regret? Natasha: Over­washing my face with soap when I was younger. Like most teens, I suffered from acne and believed that washing more often was the answer to clear skin. Soap based cleansers can break down the skin barrier, disrupt beneficial organisms, and cause redness and irritation. Over­washing can lead to dry skin and premature aging. I wish I had known about oil cleansing and had stopped using soap sooner. Zuzana: Do you have any beauty splurges? Natasha: My beauty splurges are plant extracts to make perfumes. I like to compare and contrast plants from different sources. Depending on the source, location, growing season, etc., each plant may have a completely different aroma and profile. It is fascinating and delightful. But it also makes working with whole plants more difficult than isolated extracts. I am also obsessed with finding the best Vanilla beans. Once you smell real vanilla bean­ deep, rich, sweet, and ridiculously sensual, it’s hard to go back to the regular commercial­ grade stuff. Zuzana: What is your idea of happiness? Natasha: Silliness, laughter, music, good friends, cooking, good food, silly puppies, nature, sunsets and sunrises, beautiful flowers, walking in the forest, making something beautiful, helping others feel happier, taking away someone’s pain. Zuzana: If money did not matter, how would you spend your days? Zuzana: Where can we buy Ryz Rémi blends? Natasha: We currently have three blends available at ryzremi.com. Our Calming Honey Mask, Nutrient ­Rich Elixir and Day Balm Concentrate. We also sell samples of all our blends through our website. We ship internationally! Thank you very much for the fun and thoughtful questions Zuzana. They were fun to answer! Zuzana: Thank you Natasha! Your creations are wonderful! I was blessed to try all three of their products. Now after over 3 months my jars are empty and I am happy to report that my skin has experienced true transformation. The breakouts are finally under control and my skin is starting to glow again. 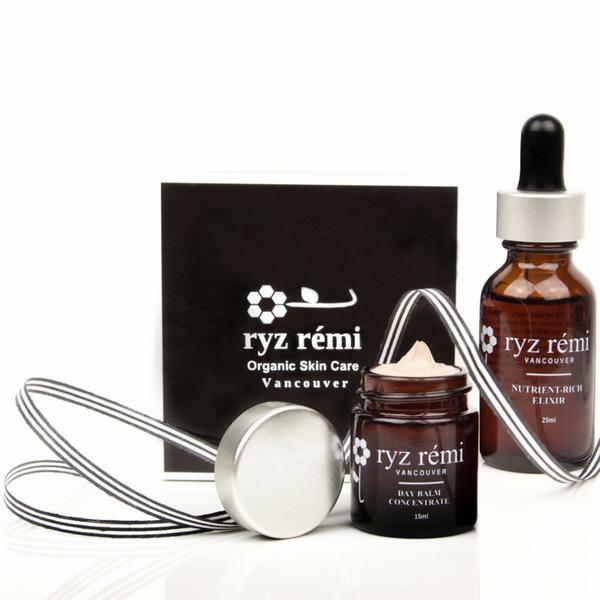 If you are on a search for an organic, superb quality solution for your skin I highly recommend checking out Ryz Rémi. As a matter effect I am heading over to their website right now to order my next jar!